Westland Family Law attorney In Michigan, one attorney stands out above the rest because of her dedication to the legal needs of families and her sensitivity to highly delicate issues such as divorce and child custody. That attorney is Jennifer S. Peterson-Ramsey. 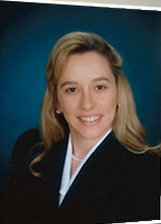 Welcome to the online home of the Law Offices of Jennifer S. Peterson-Ramsey. Here, you can get to know more about our firm and what separates us from the pack. Nearly two decades of experience Since 1997, we have provided individuals and families in Wayne, Oakland, Washtenaw, Macomb and Livingston counties with the legal solutions they need for family law issues that they face. For more than 15 years now, our practice has been active in the Michigan court system. We are intimately familiar with the Michigan justice system and all its players. Through our participation in hundreds of trials and proceedings, we have built our network of reliable contacts in the courts, in law enforcement and all over the area. You can rely on our ability to make things happen for you, optimizing your chances for success by leveraging our experience and relationships with key players on your behalf. Compassionate counsel At the Law Offices of Jennifer S. Peterson-Ramsey, our clients are more than just case numbers. We see the human element behind every legal issue, and we realize that a judgment can impact the future of your family, children, finances or even your freedom. Every case presents its own unique set of challenges. We face these hurdles alongside you, making sure you never feel alone. You will speak directly to your attorney, not an endless stream of associates. This ensures that, at every step along the way, you receive full and complete explanations that enable you to make informed decisions. We know that our clients are going through difficult times. Allow us to help you navigate through them and come out on the other side as painlessly as possible and with a satisfying conclusion. Convenience We want to make our Michigan clients feel as comfortable as possible with the process of retaining an attorney and going through legal proceedings. Bearing that in mind, we offer weekend and evening appointments so that a visit to your attorney's office does not mean you have to miss work. Practice areas Our winning record in court is a result of hard work and tenacity. Working with both plaintiffs and defendants, we focus on family law. We have worked on cases in the areas of: Child custody Child custody mediation Child support Father's rights Grandparent's custody Grandparent's visitation rights Parental rights Parenting time Termination of parental rights Third-party custody Visitation rights Family law Alimony Annulment Cohabitation agreements Collaborative family law Community property law Divorce Divorce arbitration Divorce mediation Domestic partnerships Domestic relations Domestic violence Family arbitration Family mediation Gay and lesbian family law Marital agreements Marital property distribution Marital property law Marital property settlements Matrimonial law Non-traditional family law Palimony Paternity Personal protection orders Post-divorce modification Post-nuptial agreements Premarital agreements Qualified domestic relations orders Restraining orders Separation agreements Spousal support Uncontested divorce Make an appointment for a free consultation The first step toward resolving your family legal issues is to contact our office either by phone at 248-449-4091 or online to schedule an appointment for a free consultation. At that time, we will perform a complete analysis of your case and will consider strategies for success. To make it as easy as possible for you, we accept major credit cards including American Express, Visa and MasterCard. Give yourself the best chance at achieving your legal goals. Get in touch with us today. When you're experiencing the pain of marital conflict, or facing another legal issue close to home, we listen to your needs, understand your concerns, and help you reach solutions to your legal problems. The Law Offices of Jennifer S. Peterson-Ramsey has served families in Westland for more than 15 years. We provide legal services across a wide spectrum of areas, including: Alimony Child support Child support modification and enforcement Divorce Domestic abuse Mediation Pre- and post-nuptial agreements Alimony Divorce is difficult, but it should not lead to a financial crisis. We help you establish fair and equitable spousal support so that you can continue to live as comfortably as you did before your marriage ended. Child support Both parents share the responsibility of raising a child. At The Law Offices of Jennifer S. Peterson-Ramsey, we help ensure that your child receives the financial support required for a healthy, happy upbringing. Child support modification and enforcement Child support payments remain the same unless and until the court modifies the child support order. If either parent experiences a significant change in financial circumstances, we can guide you through the proper legal procedures to modify your child support payments accordingly. Divorce Throughout your divorce, we stand by you. We accompany you through mediation or litigation, depending on which is likely to obtain the best possible results for you including fair distribution of assets, division of the marital home, child support payments and child custody rights. Domestic abuse Whether you allowed your emotions to take over and have made threats or attempts to physically harm another person, or a bystander to your argument called the police unnecessarily, you will most likely be arrested for domestic violence. Michigan law requires police to make an arrest when they are called to any domestic disturbance. Fighting these charges also involves fighting an automatic negative bias against you, and it is vital to retain a skilled, experienced and diligent criminal defense attorney to defend you. At the Law Offices of Jennifer S. Peterson-Ramsey, our more than 15 years of experience handling domestic violence and domestic abuse cases has equipped us with the skills to provide the reliable legal representation you need. From start to finish, we examine the circumstances of your arrest, talk to witnesses and build an effective defense that may help you secure the optimal result possible against your domestic violence charge in Michigan. Mediation Mediation puts the decisions in your hands, and can often provide more expedient, predictable results than a trial. As skilled negotiators, we can help you obtain the most favorable divorce settlement using mediation. Pre- and post-nuptial agreements When you marry your beloved, you may not foresee the potential problems that can eventually lead to divorce. We expect the unexpected and draft premarital agreements that protect both spouses' interests and that can alleviate some of the stress should you ever divorce. Contact a Westland family law attorney you can trust Call The Law Offices of Jennifer S. Peterson-Ramsey at 248-449-4091 or contact us online to schedule an appointment with an experienced family law attorney.